This dish is so simple, quick and easy that you won't believe how good it tastes! 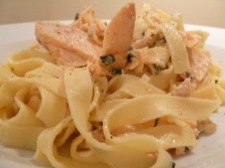 The succulent poached salmon coated in a light mustard sauce goes so well with the sticky tagliatelle. 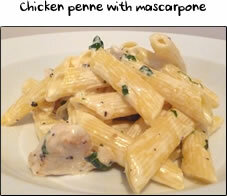 This meal is a great one for a weeknight after work and is pretty enough to show off to a loved one! It's nice and healthy too as the dish uses the poaching milk to make the sauce rather than thick fatty creams. This is a two part recipe. In part one we cook the fish and in part two we cook the pasta & sauce. Before you start have your small saucepan on the hob with the salmon, milk and salt alongside. Now click here! Before you start have your pan of salted boiling water and your frying pan/wok on the hob. 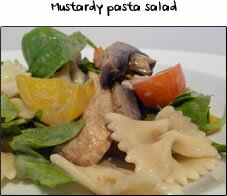 Have the shallot, parsley and mustard ready and click here! Put your small saucepan on the hob, add a little milk then place your salmon fillets into the pan skin side up. Pour in more milk, just enough to barely cover the salmon. Turn the heat on to medium and when the milk starts boiling just turn the heat down to a gentle simmer. Cook for 10 minutes in total from the point of adding the milk. After 10 minutes have your pan of salted boiling water and frying pan/wok on the hob. Carefully remove the salmon fillets to a board but keep the pan of milk on the hob (but off the heat). Turn the heat on your frying pan to low and whilst that's heating up slightly, drop the tagliatelle into the boiling water and stir. 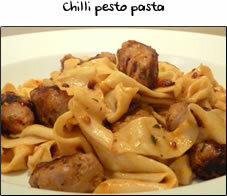 The pasta will take 3-4 minutes to cook, in which time everything else will be ready. Add about a teaspoon of oil to your pan and then add the shallot. Cook for about 1 minute just to remove the flavour of raw onion. Next add in 2 tablespoons of dijon mustard to the shallot and then stir. Spoon 6 or 7 dessert spoons of the poaching milk into the mustard and stir. What you want here is to use the milk to dilute the mustard until you have a thick sauce consistency. The milk will also add great salmon flavour to the sauce. Add in the chopped parsley, stir and turn the heat off. Check the pasta and if it's done (should be soft but still have a bite to it) drain it and bring it back to the hob. If it's not quite done, do the next part then drain it. Take the salmon fillets and flake them into the sauce in nice big chunks, discarding the skin. Give your hands a quick wash and then gently fold in the salmon to the sauce, taking care not to break up the chunks too much. If your pasta isn't drained, do so now and add the pasta to the sauce a spoon at a time, gently mixing together until it's all incorporated. 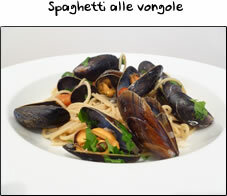 To serve, simply divide the pasta between two bowls/plates and enjoy!